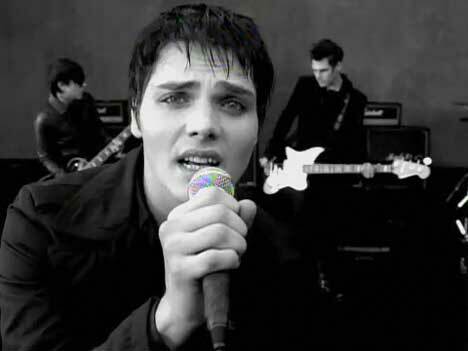 My Chemical Romance continues to wow viewers with their black and white music video for “I Don’t Love You”. 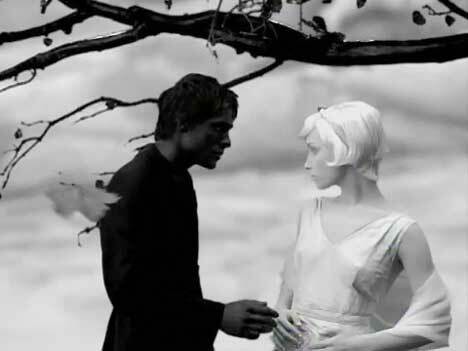 Lead singer Gerard Way emotionally sings his way through a breakup as two models, painted in black (male) and white (female) act out the pain of separation in what appears to be an expression of Gothic or Emo culture. My Chemical Romance, also known as My Chem, MCR and The Black Parade, is Gerard Way (lead vocals), Ray Toro (lead guitar, backing vocals), Frank Iero (rhythm guitar, backing vocals), Bob Bryar (drums), and Michael Way (bass) who is currently on leave. 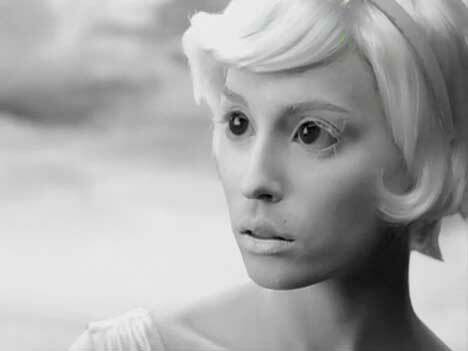 The significance of the white lady is complex. There could be a reference to the worldwide phenomenon of ghostly white lady, the reincarnation of a woman who has died tragically or traumatically. The two actors are engaged in the mode of ‘human statue’, a popular form of street mime performance.